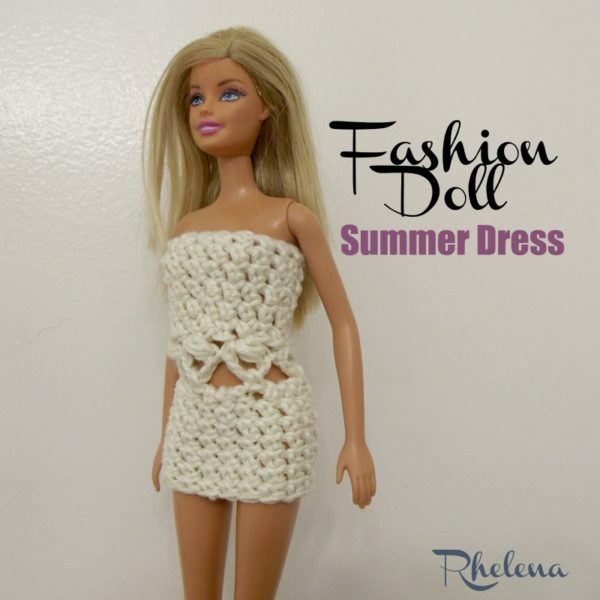 Free Crochet Barbie Dress Pattern. This quick barbie dress is perfect for her summer wardrobe. It features an open lace around the waist area for a nice touch of fashion. This open lace also allows for a cute belt if you like. 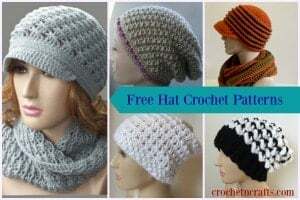 The pattern is given for the 11.5″ barbie doll, however, in a simple multiple of three you could crochet this for basically any doll you want. I used a DK weight yarn, but if crocheting this for larger dolls, you could use any yarn and hook size that you have on hand. Finished Size: Fits the 11.5″ Fashion Doll. Extended Single Crochet (Esc): Insert hk in st or ch indicated, yo and pull up a lp, yo and pull through 1 lp, yo and pull through both lps on hk. Puff Stitch (Puff st): [Yo, insert hk into ch, yo and pull through] 3 times (7 lps on hk), yo and pull through all 7 lps. Ch 1 to close. Loosely ch 18, (or any multiple of 3.) Join with sl st in first ch being careful not to twist. Rnds 10-15: Rep Rnd 2. FO at last Rnd. You might also enjoy more FREE Barbie Crochet Patterns at CPB.